7 NIGHTS all-inclusive starting from 315 Euro per person! There is no better month than June to plan a relaxing holiday by the sea enjoying beaches that are not yet crowded, long days of sunshine and mild and not sultry temperatures! Rimini, the queen of the Riviera Romagnola, awaits you with lots of surprises and novelties for this summer 2018! Hotel Tilmar, 3 star superior hotel situated in a strategic position just in front of the sea and equipped with a large private swimming pool, represents an excellent solution to stay for those who want to carve out a pleasant relaxing break with the family or with a your group of friends. Discover the exceptional all-inclusive offer of the beginning of June in Rimini proposed by Tilmar, family hotel facing the sea with swimming pool between 3 June and 10 June 2018 and book now your early June holiday in Rimini! *Any other REDUCTIONS cannot be combined with this package. The package ALL INCLUSIVE + BEVERAGES includes, in addition to the services listed above, also BEVERAGES with meals. 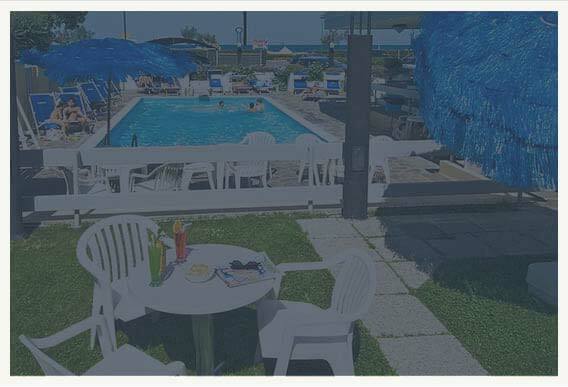 The package ALL INCLUSIVE + BEACH includes, in addition to the services listed above, also 1 beach umbrella + 2 sunbeds per room at the affiliated bathing establishment. What do our guests appreciate?